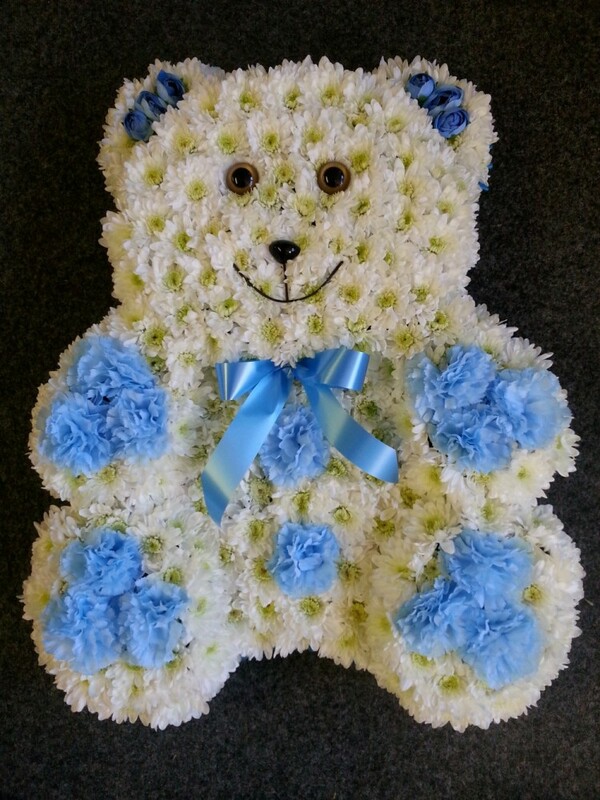 TEDDY BEAR tribute. bedded in white double chrysanths with a choice of coloured ribbon, ears & paws. delivered to an address of your choice or direct to the funeral directors within the rotherham area and complete with a card with your own personal message. please feel free to call us so we can guide you with any specific requirements and your colour choices 01709 527090.